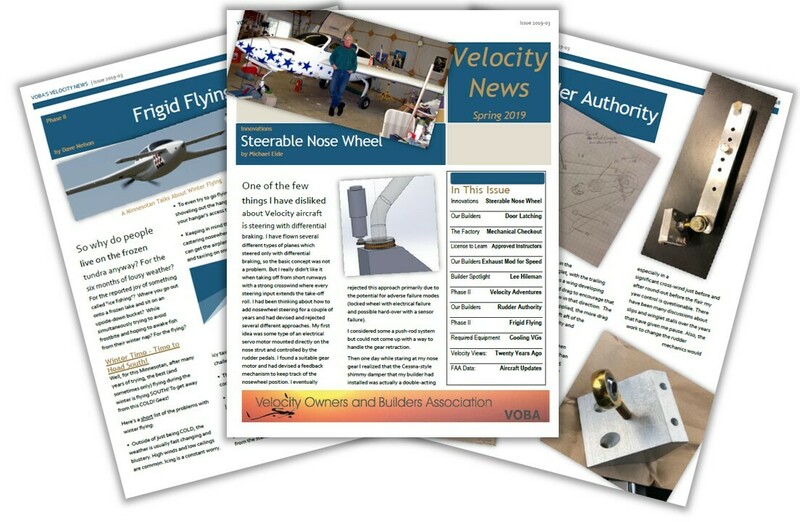 Velocity News Spring 2019 issue available! Members can download the current and past issues from the Documents section of this web site and the Newsletter Forum. Oil Cooler Tubing . . . I have 1/2" lines and plan to replace the return line with 5/8". What grade of tubing do I use? Does it come in straight lengths, or coiled up? Which is better? I also will replace the braided line that connects to . . . Nose Landing Light . . . I am very unhappy with the light output of my nose cone mounted landing and taxi light so I want to build in some LED lights. I am not prepared to install LEDs in the leading edge of the canard at this point (I might add them in the future) so I would like to modify the existing lights. The picture below shows the landing spot light installed at . . .
Laser Main Gear Toe Alignment . . . I remember reading where a fellow VOBA-er did his main gear alignment using a laser level. I cannot seem to find that reference in the forum or in my numerous and overflowing notes so I am coming up for air and asking for help… I now need to do the measurements… As per the write up (If I could find it) I rolled the airplane forward 15 feet and then lifted only the nose . . . .
76 new forum messages this week. 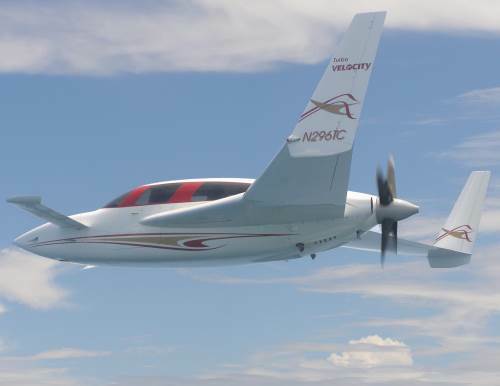 The Velocity Owners and Builders Association (VOBA) is dedicated to the safe building and flying of Velocity Aircraft. VOBA will promote the interests of Velocity owners and builders and represent our type of aircraft in the larger aviation community. VOBA is a member of the Type Club Coalition (TCC). 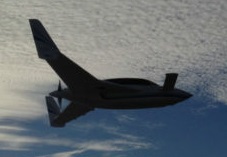 The TCC was started by the Experimental Aircraft Association (EAA) for the purpose of sharing information among the various aircraft-specific organizations. The Velocity Owners and Builders Association encourages you to check out all useful sources of information on Velocity Aircraft, such as the factory's web site, the Velocity Wiki, the Facebook group, and the Reflector archive.